Girls, let’s be honest. How many of us have hit up Amazon for a foam roller only to let it fall by the wayside a week later? We’ll be real with you, we have too. After promising to give our muscles all the self-rolling love they deserve, we quickly forgot about our magic purchase. It felt too, you know, confusing. What foam rolling exercises were we supposed to do? 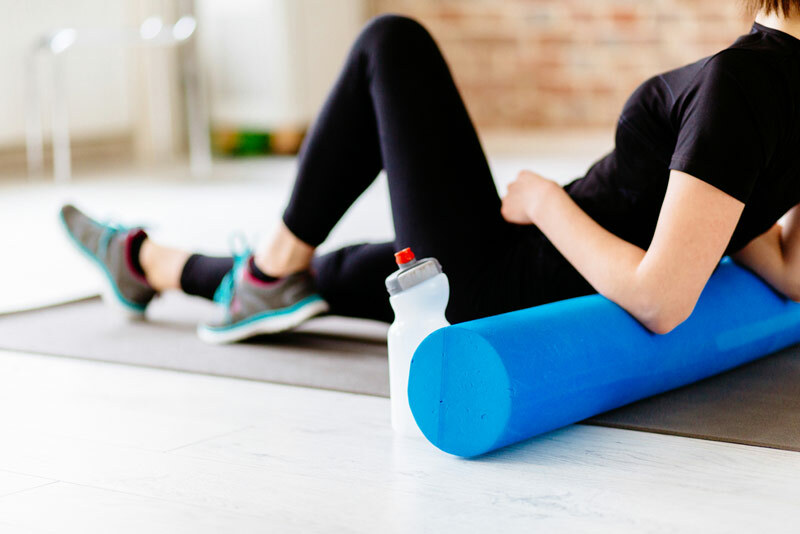 There’s more to foam rolling than a chance to kickback, get down to eye level with your pets and catch up with that latest Netflix obsession. 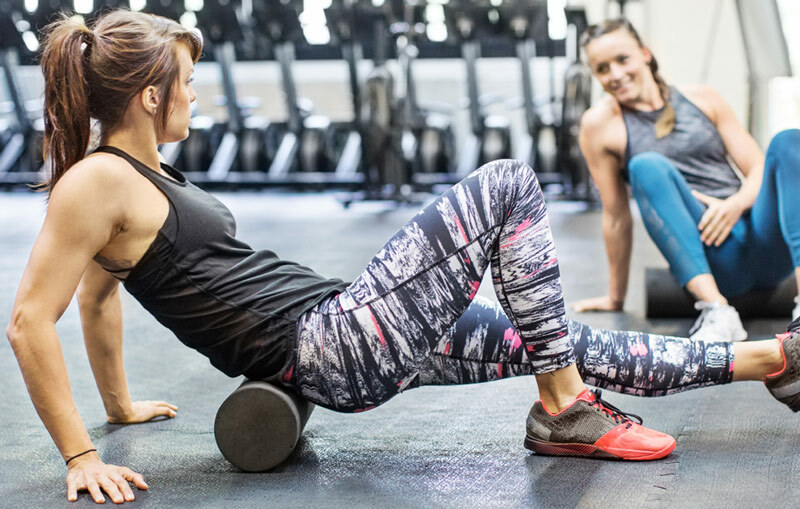 Foam rolling is a proven way to support your efforts in the gym by optimizing both your workout prep and recovery. Yup, it’s all the things they said and more. Foam rolling is simply a form of self-massage. 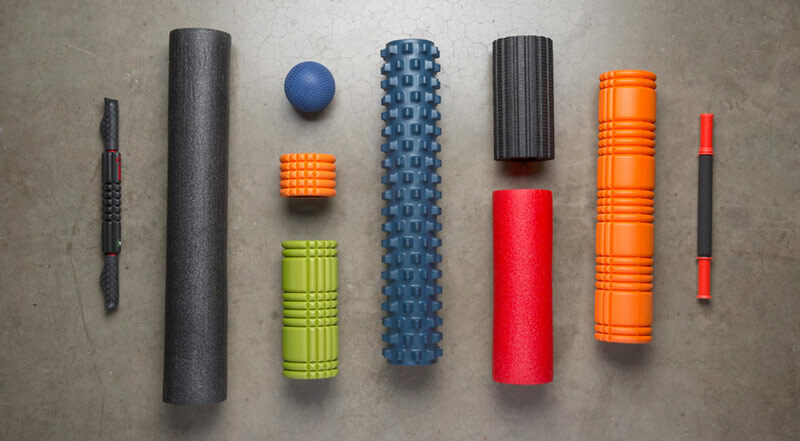 So, rather than drop the cash on a masseuse or sports therapist, we grab one of these spongy tubes and get rolling. By applying pressure via our bodyweight to certain muscles we release tension, making us feel primed and looser. Studies have shown that foam rolling can significantly decrease soreness up to 72 hours after an intense workout . Yeah, that right girl, it’s a surefire way to combat leg day DOMS. 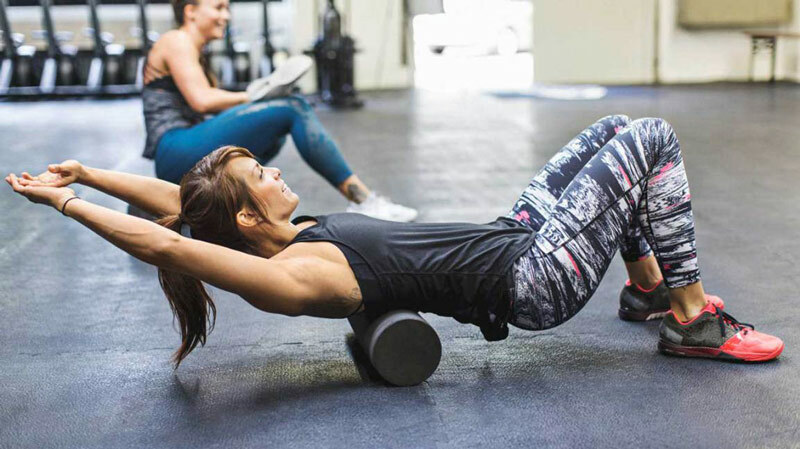 So, if you’re the sort of girl who likes to go in hard on her HIIT sessions, foam rolling could be for you. It’s not just all about recovery though. As much as we’re all for feeling better after crushing it in the squat rack, we get just as excited about upping our gym game. You do too? 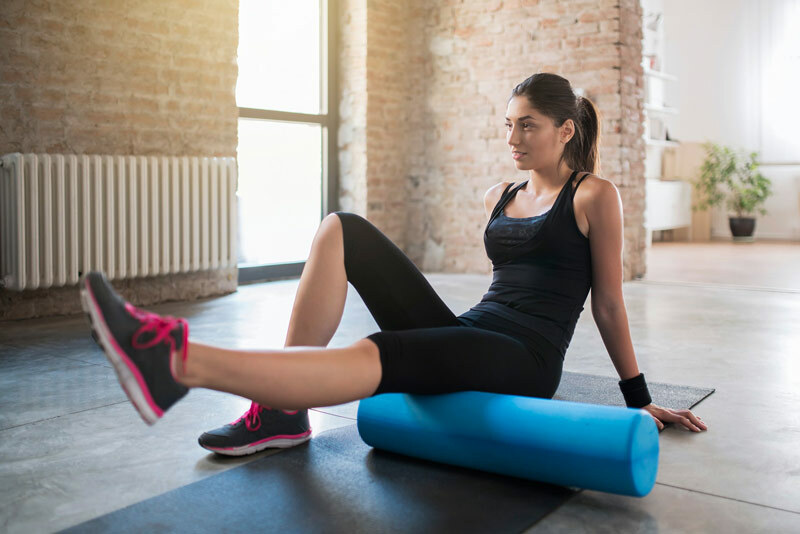 Well, you’ll be happy to know foam rolling is also an awesome method for activating muscles as part of pre-workout warmup. Essentially, you’ll be readying your body for the hard work it’s about to endure. However, you’ll be able to do so without a reduction in power often associated with certain types of stretching . Add in an improved range of motion and localization of blood in the muscles, and you’re ready for anything a workout could throw at you. Just like all workout gear, it’s good to get to grips with what you’re purchasing. No one wants to drop hard-earned cash on the wrong thing – no matter if it’s a new sports bra, pair of shiny weightlifting shoes or even a booty-building supplement. So, when fetching yourself a foam roller (okay, ordering online) consider your experience level. If you’re a newbie to rolling or massages in general, go for a softer version. The foam in these guys are a lot more forgiving, meaning they’re perfect for helping you get started. You’re also less likely to get injured whilst perfecting your rolling technique. Yet, if you’re at one with soft-tissue rolling or receive a sports massage on the regular, go for firmer foam. Whilst they might not be as forgiving as a softer roller, they’re better for girls who want to go in deeper, especially if you decide on a more aggressive surface. SpotMeGirl advise you also lock eyes on a longer roller, which are typically around 36-inches. Shorter rollers are seriously for stashing in a gym bag but they’re not always great for working larger areas. At least with a longer tube you’ll have something at hand to hit any body part. Tip: Although it’s awesome to relax those quads here, you should still brace your core. Doing so will help keep your spine in alignment and won’t put stress on your lower back. Tip: Change the angle of attack by rotating your forearms inwards and outwards. This way you’ll really hit the spot, girl! Rolling for recovery? Spend two to five minutes on each muscle to allow enough time for it to relax. Really focus on tight areas by rolling slowly and listening in with your body. Once you find a tight spot, steadily apply pressure until you feel the area release. We’re not gonna lie girls, it can sometimes be a little sore. But, as always, persevering is always worth it. Expect to feel an acute feeling of tenderness before a noticeable relaxing sensation. If you feel like an area needs special attention but it’s too sore to touch, work around it. Rather than dive right into one place try massaging an inch or two around it. Eventually, you’ll break down the tension from the outside in, until you finish up at the intended tight spot. Rolling for activation? Get involved for 30 to 120 seconds on each major muscle until it (along with surrounding joints) feels loose. If you know you have certain trouble spots spend a little extra time on them until you’re 100 percent ready to go. Good luck, girl Keep on rolling!